It all began at a pre-draft workout in 2003. 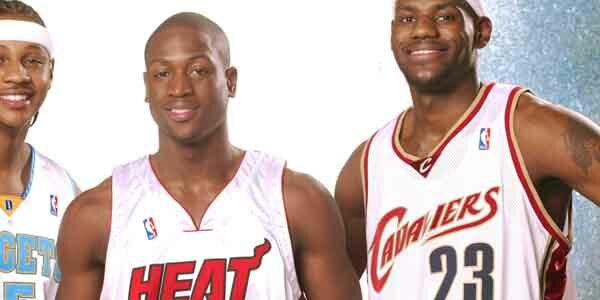 Dwyane recalls that while sitting and waiting to be seen by the doctor, LeBron “randomly walked in” and boom. That’s it. The two began to talk and hit it off right away. While they definitely discussed basketball and the upcoming draft, Wade stated that they connected more because of their similar tough upbringings. Wade grew up on the south side of Chicago in a split home. His parents divorced when he was four, and his mother’s drug filled lifestyle landed her in prison when Dwyane turned eight. LeBron, on the other hand, grew up in a home without a father and a mother who struggled financially to keep the family afloat. It’s understandable how the two would connect after sharing these stories.